The TSA has failed to alert the public and medical community that environmental triggers can worsen Tourette syndrome symptoms. Their negligence is indefensible. 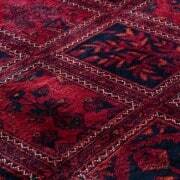 Triggers are factors that can cause or aggravate symptoms. A classic example, widely accepted, is that bright, flashing lights can trigger seizures and migraines in some people. Triggers differ from one person to another, yet common factors are often reported for specific conditions. The degree of sensitivity a person has to a trigger may fluctuate. Once triggers are identified, avoidance can improve symptoms, sometimes dramatically. 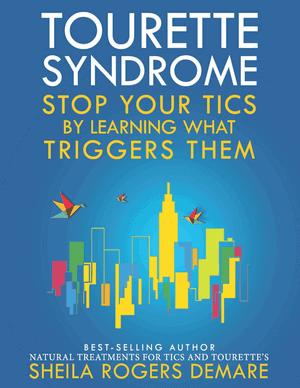 Triggers for motor and vocal tics have been reported to the national Tourette Syndrome Association (TSA) by families and doctors for more than 40 years and by our organization since its inception, over 20 years ago. Yet the TSA has withheld this information. Why has the TSA not told the medical profession and the public about triggers for tics? Is it because triggers contradict and complicate their (incorrect) claim that Tourette symptoms “mysteriously” wax and wane, and nothing can be done about this pattern? The TSA supports the surgical placement of electrodes in the brain to treat tics, and lengthy behavioral training as a tic therapy. Yet they dismiss the obvious. Knowledge of environmental triggers affecting the brain is nothing new. But the TSA has stuck its head in the sand and denied the existence of triggers for tics. Warn all TSA professional and lay members about the potential for environmental stimuli to cause or aggravate TS symptoms. 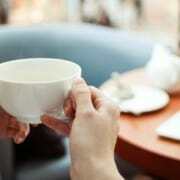 Encourage members to collect data related to environmental triggers. Develop a flier on avoidance, assessment, and treatment of environmental factors that would be provided to the media, put on the internet, and included in all introductory literature packets. The TSA medical board met to discuss my editorial letter and sent a written response to me in 1997. After this exchange I watched in dismay as the years passed with no action from them. Young children who could have been helped grew to adulthood. Many brokenhearted parents unwittingly allowed triggers to worsen their child’s tics, because they had no idea diet, exposure to toxic chemicals and allergens, and other factors might be affecting symptoms. Due to the lack of action by the TSA, in 2003 our organization conducted an online survey on tic triggers and included a list of numerous triggers families had reported to us. Website visitors were invited to select which items they suspected aggravated or caused tics in themselves or their child. The program allowed only one response per computer, so we were confident people were not over-reporting. The survey is explained in detail in our book Natural Treatments for Tics and Tourettes: A Patient and Family Guide. See a summary of many of the triggers collected, as well as helpful tips in our online article: “Finding Triggers for Tics: A Must Read.” This was ground-breaking research with excellent participation from the Tourette community. The TSA medical and scientific advisory boards were aware of the results but didn’t care. They didn’t use the findings to conduct their own studies nor make a statement on triggers. Many of the triggers people independently documented through our survey on tics overlap with those reported for other neurological conditions. As an example, see these two sites for lists of migraine and headache triggers: 1) NIH (with an emphasis on food triggers); 2) The Mayo Clinic. Awareness of triggers can make a tremendous difference! Just as it is inadvisable for someone with grass allergies to stand outside while the lawn is being mowed, someone with Tourette’s whose symptoms are aggravated by triggers should avoid them when possible—or at least have the choice to do so. A successful businessman with Tourette’s contacted me about a painful chronic neck jerk that was so severe it was damaging his vertebrae. He said he’d been to leading neurologists worldwide looking for relief. When he told a physician last month he’d observed that drinking just 1/4 cup of red wine could make his tics worse, the neurologist replied, “It’s impossible that red wine could do that!” Note: Red wine is a proven trigger for migraine. The first step is to try to identify any triggers. 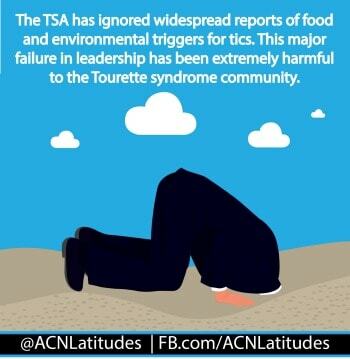 Unfortunately, the ongoing message from the TSA that Tourette syndrome is mysterious and there is nothing people can do to reduce tic symptoms has disempowered the Tourette community. Most parents don’t know to start looking for triggers in their children. Instead, when the tics get better or worse, they simply accept this as “waxing and waning” as taught through TSA literature without searching for a cause-and-effect relationship. Even when families or adults with Tourette syndrome or other tic disorders notice that something increases the severity or frequency of tics, their doctors often insist they are mistaken. Why? Because physicians take their lead from the TSA. Professional help may be needed to pinpoint some triggers. Not everyone may find them, but keeping a log is a good place to start. Efforts to address any underlying causes for the hypersensitivities (i.e., allergies, nutritional imbalances, inflammation, infection) are additionally important and have the potential to reduce the overall sensitivity. The TSA tends to hide behind a claim that double-blind studies are needed before sharing any information. Have they been blinded to common sense? Do children need to be exposed in studies to toxic cleaning products or pesticides before we can accept reports that toxins have sometimes been noted to aggravate tics? Do we need double-blind studies on multiple types of foods before simply telling families and doctors that many people report tic-reactions to different foods? 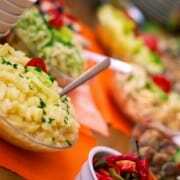 Food additives have already been proven to affect behavior and hyperactivity. Do we need to conduct years’ worth of similar research before we can accept that some people report a connection with chemical food additives and tics? And how should exposure to gas fumes, formaldehyde, and chlorine—all reported triggers—best be studied? The TSA has started putting occasional articles in their newsletters by members who write that they feel better on a healthy diet or perhaps they know they should stay away from toxic chemicals. The TSA may feel this is broadminded of the organization. However, this scattered and minimal approach to the issue of triggers is much too little, much too late. 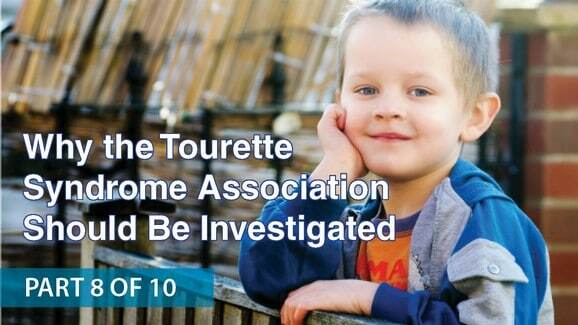 The national Tourette Syndrome Association has lost credibility as a world leader sharing information on the prevention and treatment of Tourette syndrome. They have withheld key information on triggers and failed to put families first. Part 9 : The TSA controls and censors the media message of our organization, blocking information on integrative therapies for Tourette syndrome from reaching the public. My brother had tics when we were growing up.Our mom had found a doctor who told her there were day-to-day things that could make a difference. I know some foods were a problem and also scented things (bath products, laundry soap, cleaning products, candles). I don’t remember all the changes we made, but I remember since we all played sports that Gatorade was no longer in our gym bags. We also got rid of all the junk food that was artificially colored and flavored and although I personally was not sensitive to it, we made a deal in the family that we’d all avoid it to be supportive. I still use unscented laundry detergent to this day! She kept a journal and figured things out. He is doing fine now. The tics affected the whole family. I guess for me, I wish we had known about all these things when he first started with just his eyes rolling. Before things progressed to the serious stage. I think the TSA should tell people about this. I don’t get why they don’t. You mention a whole family approach, Jennifer, and other families have told us this works the best. It sounds like you had an especially supportive family. I’m with you — I don’t “get” why the TSA doesn’t tell people about looking for triggers. 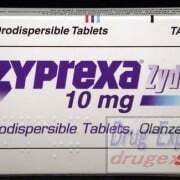 How great it would be for people if they could manage to nip the tics in the bud! No more Gatorade, eh? I just looked up Gatorade Sports Fuel Drink and checked out the ingredients: WATER, ISOMALTULOSE, SUGAR, DEXTROSE, MALTODEXTRIN, CITRIC ACID, NATURAL FLAVOR, XANTHAN GUM, SALT, SODIUM CITRATE, MONOPOTASSIUM PHOSPHATE, YELLOW 5, NIACINAMIDE, CALCIUM PANTOTHENATE, YELLOW 6, PYRIDOXINE HYDROCHLORIDE (VITAMIN B6) Lots of sugars and coloring . . . Thanks so much for writing. Seeing the side-by-side of the triggers listed on their website and the ones found by ACN is striking. And you said it well when you said that they’re blinded by their double-blind mentality. It’s not like there’s anything dangerous about telling someone to notice if they have increased tics when they smoke or when they’re around air fresheners, etc. It doesn’t take a double-blind study for a parent to see that their kid’s tics go through the roof when they eat artificial preservatives. This is called COMMON SENSE cause and effect. ACN is clearly wanting to empower those who are struggling with TS to find out what works best for them. To be their own advocates and to become investigators in their own health. The TSA, by not being part of the solution to encourage TS patients to feel better by avoiding environmental triggers, is making themselves part of the problem. Love it, MLW: “The TSA, by not being part of the solution to encourage TS patients to feel better by avoiding environmental triggers, is making themselves part of the problem.” That’s it in a nutshell! And, applause all around for your support of using common sense for the benefit of families. Thanks for detailing the history of your experience with the TSA, Sheila. It’s so frustrating! I know there is a lot of pain, exhaustion, and heartache behind your words. I’m reminded of the song from the musical “Hair” …”Easy to Be Hard”: how can people be so heartless, how can people be so cruel, easy to be hard, easy to be cold. Frustration, for sure. And disbelief, I could say Marne, that there is such a lack of care by those who have taken up the cause as advisors. When people set themselves up as experts, they need to be held to a high standard. I will just add that GMO foods are raised with added pesticides. In fact, it is the chemical industry that produces and sells them. Monsanto, Dow, DuPont, Bayer Crop Science, BASF, and Syngenta are the top 6 producers, and their “pesticide plants” (as I call them) are in 80% of all of the products in an average grocery store…UNLABELED. The main pesticide used on these crops is Roundup. Roundup is made to chelate (bind up and take away) many minerals, one of which is MAGNESIUM. In areas where these crops have been planted over the years, an overabundance of manganese has turned into a depletion in the environment, and farm animals are suffering ill health and even dying due to the lack of it. What I am writing is only the tip of the iceberg. If possible, please try to eat organic in order to avoid these chemicals and the lack of minerals in the food. The imbalance of good bacteria in the soil is leading to an overgrowth of fungus and mold in these fields, and it is going into our food. Just avoid GMOs by eating organic if you can. I only know this because I have become an “investigator” of sorts, talking to farmers who are comparing GMO effects on their fields and on their animals, and I don’t want our children to suffer the same effects. Our kids have gotten better since we dumped them. My poor boy suffered through a lot. Tics started appearing at three. By seven he was doing horrible with all around multiple tics!! He was walking on all fours and having a terrible time with allergies! We were told he had asthma along with all his tics. Diet changes helped my child. 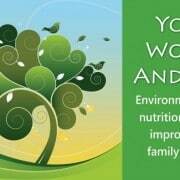 Environmental changes helped my child. We went all organic and used healthy cleaning products. We put our son on a diet that reduced his allergies and sensitivities greatly. We boosted his immune system with probiotics and then in the long run he didn’t get sick as often. My child never took an allergy med and his tics improved significantly! I would be more then happy to stand in front of millions of people and say that my children’s tics were helped by diet, improving the immune system and addressubg environment factors. 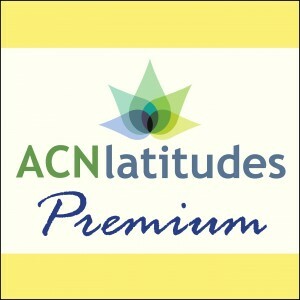 If it wasn’t for the ACN Latitudes.org website to guide me, I fear what would happen to my children. No dyes or preservatives are given at that time which helps my children.